Merry Christmas mods, it is indeed the season of jollyness. So get yourself a little Christmas cheer, a holiday libation, and get jolly while you listen to this year's show. 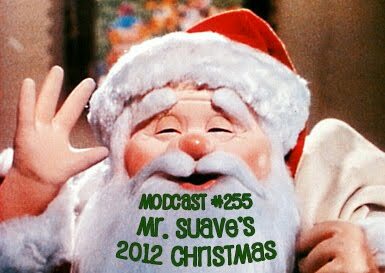 This year my gift to you dear listeners is less of my creaky voice and more cool music from the likes of Fitz and the Tantrums, The Dukes of Hamburg, HB Radke, the Eels, Joyride and more. 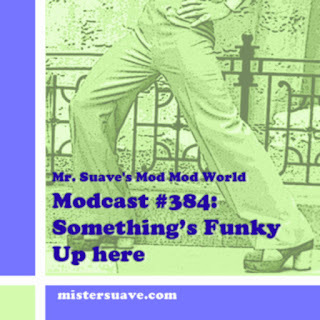 As usual you can get a full track list at Mistersuave.com. And if you missed last week's show featuring a special acoustic track from The Bang, and songs specially chosen by the proprietors of the Mod Soul Review podcast, We Are The Mods, the Ice Cream Man Power Pop and More blog, and lots of other goodies -- well you can check it out right here. And I promise that I'll try harder next year and make the 2013 mod Christmas extravaganza something to really get excited about. Be sure and check back next week for my best of 2012. Until then, happy holidays and thanks for listening.